All of us remember where we were on September 11, 2001. For many Iraq and Afghanistan vets, the attacks on September 11th hold a special place in their memory because it instilled a call and passion to serve their country. That one day changed the course of our lives. 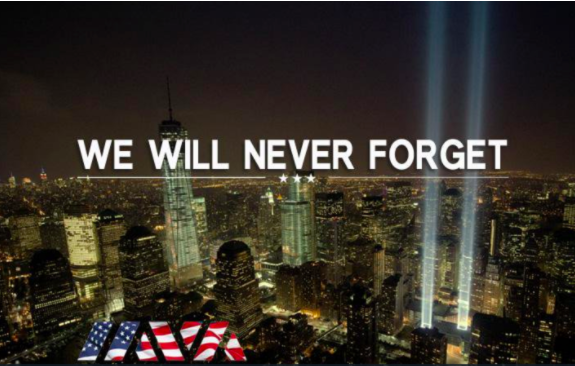 Today, as the world remembers the horror our nation and its victims encountered – from New York to Washington and a field in Pennsylvania – we also reflect on the heroism of first responders, servicemembers and veterans. Their selflessness and bravery, during the aftermath and over the past 16 years, have proven that we are stronger together and they continue to inspire us to this day. IAVA’s mission is to support all the men and women who answered the call to serve and fight for our country. And, as September 11, 2001 moves further and further into history, we want to ensure that the significance of the day is never forgotten. That’s why, at 8:46am ET on September 11th, we will reactivate our #GoSilent digital activation, which brought together half a million people nationwide to recognize the true meaning of Memorial Day to encourage all Americans to #NeverForget and take a moment to honor the memory of those lost on this solemn day. Join IAVA on September 11 at 8:46 AM EST for the national Moment of Silence, the time when the first plane struck the World Trade Tower in New York City. Pledge to #GoSilent.